Automated Micro-Needling is the latest innovation in aesthetic medicine for the treatment of fine lines, acne scars and improvement of the skin’s overall appearance. During this procedure, tiny needles are used to create controlled micro-injuries in the skin in order to produce collagen and elastin. The skin’s repair process results in new skin without fine lines and scars. Automated micro-needling also creates superficial micro-channels which allow topical serums and creams to be absorbed more effectively into the skin. At Healthy Skin Centre, we provide the newest and most innovative Microneedling pen known as Collagen P.I.N. device. What skin conditions can be treated with Microneedling? Which areas of the body can be treated with Collagen PIN Microneedling? At Healthy Skin Centre, we use the Collagen PIN Microneedling device which is the most advanced Microneedling pen available. The Collagen PIN Microneedling pen has 12-36 tiny needles that create measured, precise tiny punctures in the skin. These micro-punctures activate the skin’s natural wound healing process. Microneedling is designed to treat and reduce acne scarring, fine lines, and wrinkles as well as improve discoloration, texture and tone leaving the skin smoother and brighter. Upon arrival to your private consultation room at Healthy Skin Centre, one of our skin care consultants will cleanse your skin with Skinceuticals Gentle Cleanser then apply a numbing cream. After approximately 30 minutes of relaxation, your skin will be cleansed again. We will use a brand new sterile needle tip containing 12-36 micro-needles and attach it to the Collagen P.I.N. Next, in a single motion, the Collagen P.I.N. will be gently glided across your skin until the entire treatment area has been covered. This results in thousands of microscopic channels throughout the entire treatment area. The repair process, Collagen Induction Therapy, begins almost immediately. Fibroblasts – the cells that synthesize new collagen – are active for up to as much as one year after just one Collagen P.I.N. treatment. Depending on your specific needs, additional serums such as Platelet Rich Plasma, Hyaluronic acid, Skinceuticals Hydrating Vitamin B5 gel or Neocutis BioGel (rich in growth factors) will be applied to your skin. What will I look like after my Collage PIN Microneedling? Collagen P.I.N. is considered a no downtime treatment. However, immediately after your treatment, your skin will look slightly pink to moderately red. Depending on your skin’s sensitivity, the redness can last 24 hours. One of our skin care consultants will recommend medical grade skin care products for your post care based on your individual skin needs which will both minimize these symptoms and enhance your overall results. Most patients see results after the first Collagen P.I.N. Microneedling treatment within one to two weeks. Results will vary depending on each individual’s skin health. How long will my Collagen P.I.N. Microneedling results last? As we age, our collagen production slows down. Collagen P.I.N. Microneedling produces results naturally through the stimulation of your own skin’s intrinsic growth factors, collagen and elastin. Can I use makeup after having my Collagen P.I.N. treatment? We recommend using only mineral based makeup and foundation directly post treatment. You may resume your regular foundation five to seven days post Microneedling. Mineral based makeup such as Jane Iredale will not build up bacteria and is safe to use on your skin post Microneedling treatment. How many Collagen P.I.N. Microneedling treatments will I need? 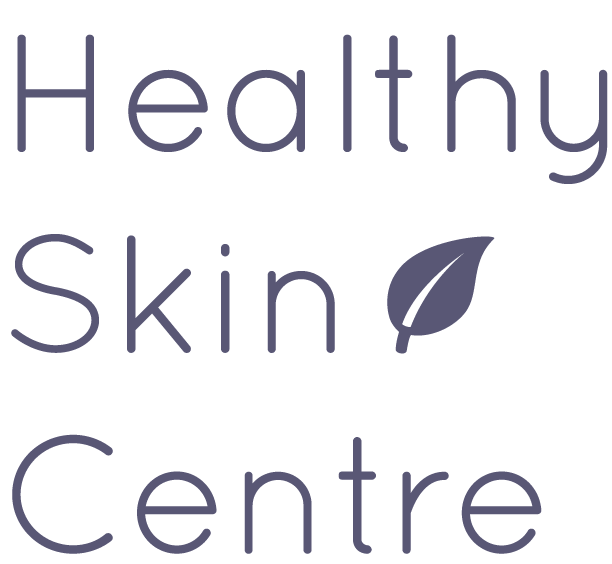 At Healthy Skin Centre, we develop a treatment plan that is customized to you. Depending on your skin’s condition you may require three to six Microneedling treatments, performed four to six weeks apart. Most patients maintain their Microneedling results with quarterly treatments. I had my first appointment at Healthy Skin Centre and I got Collagen P.I.N Microneedling. I got to meet Dal who actually did the Microneedling and she was so great. I had many consultations at many skin centres and Healthy Skin was by far my best experience. I felt nervous going into my consultation but Dal and Dr. Nasseri made me feel so comfortable. I have already recommended Healthy Skin to my friends and family and on my social media. I will definitely be a repeating client.